I was put in touch with Ryan’s mom Tracie through Dr. Karen Wright, cardiologist to both Lucy and Ryan. I haven’t yet had the pleasure of meeting Tracie in person, but you can tell from her writing that she is a sweet, kind person. The Montanios were also a featured family in the American Heart Association’s Heart Walk ads in Austin’s “Community Impact” newspaper. Below is Ryan’s story in Tracy’s own words. She also has a blog: http://themontaniofamily.wordpress.com/. On there she has chronicled her family’s journey through losing Ryan and subsequently welcoming his baby sister Harper. Happily, Harper is perfectly healthy. Thank you for sharing Ryan with us, Tracie. Mark and I were blessed with our son Ryan on October 1, 2011. When Ryan was born, he weighed in at 3 lbs., 15 oz., and was 15 inches long. 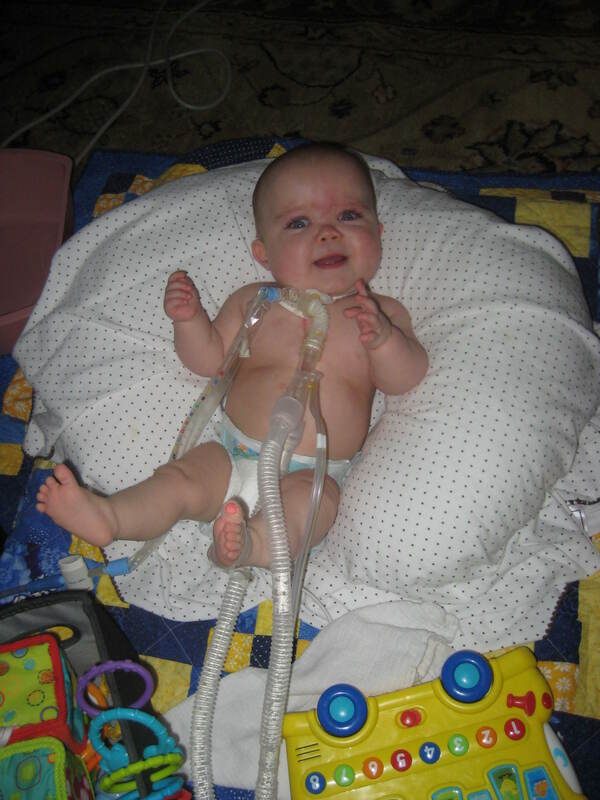 He was transported to Dell Children’s Hospital that night, because his blood gas levels were not where they needed to be. We thought we would be at Dell for a few weeks while Ryan grew and got stronger, thinking it was just due to prematurity. On October 13th, Ryan was diagnosed with TAPVR (Total Anomalous Pulmonary Venus Return), a congenital heart defect that would require open-heart surgery. We thought we would be headed to Dallas on a plane to have surgery ASAP. Then it was decided that Ryan was doing well enough to continue growing, so the veins that needed to be operated on would be larger. They wanted to wait till he was 7 pounds (He was 4 lbs., 9 oz. at the time). As a parent, all we wanted was to have our son “fixed,” so we were not so excited about the waiting…it seemed like it would be an eternity. We did lots of back and forth hospital and doctor appointments between then and February 2012. Thank goodness we had a wonderful and honest relationship with our cardiologist in Austin, who provided so much support along the way. We finally landed in Houston with a wonderful group of doctors to help us through the next 7 months! Feb, 24th is when Ryan had his first surgery to repair his pulmonary veins. People we had talked to said “he will be a different” kid…we didn’t really know what that meant, until after the surgery! Before surgery, we fought battles of needing Ryan to consume enough calories and requiring a feeding tube. After surgery, he WANTED the bottle! And, most importantly, he was white, not blue! We fell in love all over again! The unfortunate part was that we thought we were “done, all fixed” and we could start “living” life with a healthy baby. About a month after we returned home, that “mommy sense” kicked in and we were sent back to Houston…Ryan was not doing well and we needed to figure out why. We were welcomed by familiar faces and open arms (once we got through the ER). We were scheduled for a heart cath to gather more data and see what our next steps would be. During our stay here, they felt a trach would help Ryan. After we were done freaking out that we would have to come home with a trach and know how to care for a 7 month old, we pulled our bootstraps up and started learning! We ended our longest hospital stay of 6 weeks that May and returned home, by ambulance, I might add! After battling home health care, something I would wish upon no one, we were trying to find a “routine.” We attended doctor appointments (lasting up to 3 hours at a time), while squeezing work in here and there as much as we could. And, in true Ryan fashion (he did not stick to any schedule), we were headed back to Houston earlier than scheduled for our second open-heart surgery. August 17th was the magical day! I remember being in The Ronald McDonald family room one day overhearing a conversation from another heart mom, “You know something is wrong with us when we are excited about heart surgery.” That is exactly where we were; let’s do this…again, hoping for a “fix.” We had started to realize this was going to be a long road with lots of trips to doctors and multiple heart catheters, but we were ready! After more learning at the hospital, now Ryan would be coming home on a ventilator…we never thought we would know so much medical stuff! We were only home a few short weeks before making our final trip to Dell Children’s Hospital. We headed to the hospital because Ryan’s heart was racing and we could not do anything to bring it down. I do wonder what the people thought when I started handing out timelines and medication schedules as we headed to the hospital. This night was the worst night anyone could imagine…it was like watching a TV show and the rerun is constantly on. September 23rd will have a new meaning for the rest of our lives, one week shy of Ryan’s 1st birthday. Of course, we would say that was the most challenging year of our lives, but there is not one day we would trade. We had the ability to meet some amazing people along the way, as well as learn some pretty amazing life lessons. Ryan seemed to touch people in a special way and for that we will always be thankful.